Perfect reflexion in Sprague Lake below dramatic sunset clouds. 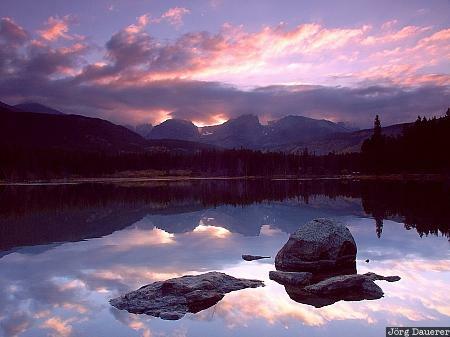 Sprague Lake is in Rocky Mountains National Park in northern Colorado in the central part of the United States. This photo was taken in the late afternoon of cloudy day in October 2003. This photo was taken with a digital camera.